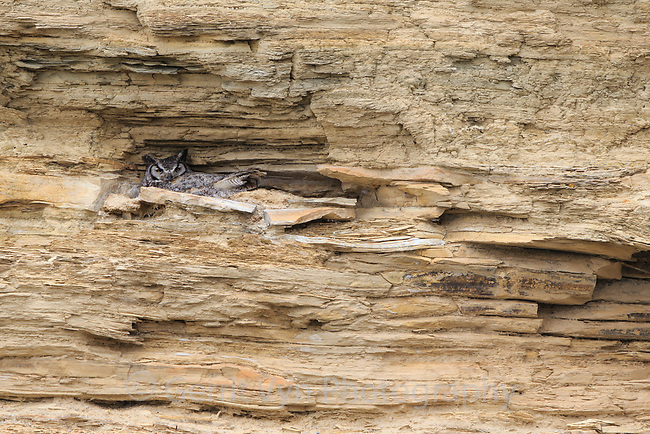 Adult female Great Horned Owl sitting on a nest in a sandstone cliff. Sublette County, Wyoming. May.